Custom threaded mounts allow for up to a 7.5" wide body to be mounted. - Side-mount posts allow for increased roll-over protection. 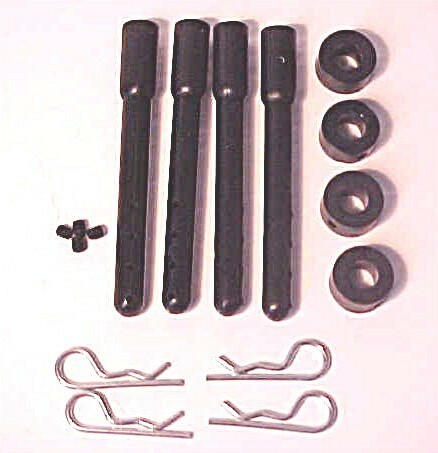 - Mounts include clips and all required hardware as pictured. - Mounting kit designed specifically for our carbon fiber Terminator chassis WITH carbon fiber chassis braces. For all other chassis, please order CPE-BMT1.